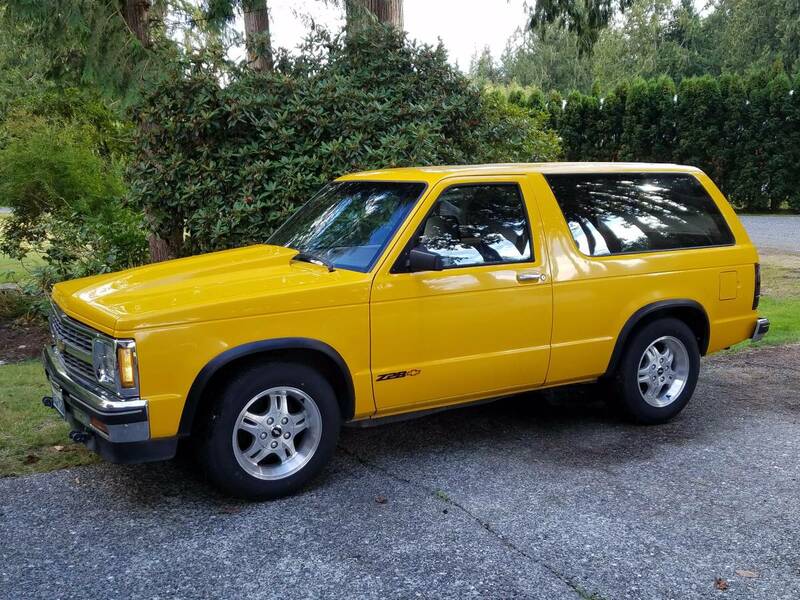 This example of the 1st generation GMC Jimmy looks nice in shiny yellow paint and well preserved brightwork -- but this is far from the average Jimmy/Blazer from the era. 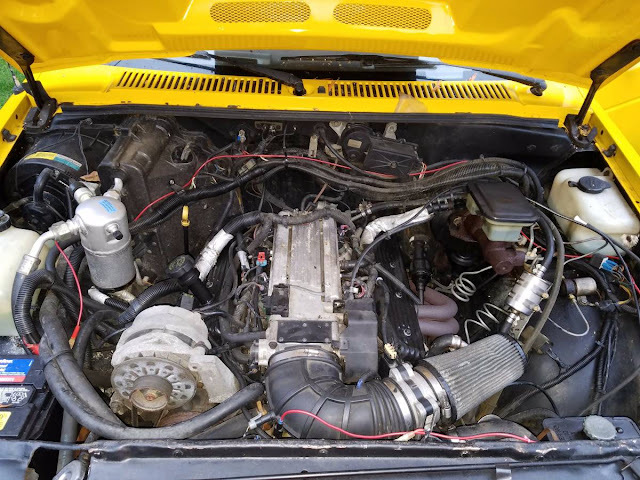 A quick glance under the hood reveals a 5.7 liter Chevrolet LT1 V8 that is probably good for 250-to-300 horsepower (or so) and should make some mean noises. LT1 (check), 6 speed manual trans (check), red wire circling the engine compartment (check)... buy it!